ENO (Eagles Nest Outfitter) has released a camp chair that they say has the "comfort of a hammock no matter where you are". ENO is known for their hammocks, so if anybody knows how to pull off a hammock-esque camp lounger, it's these guys. 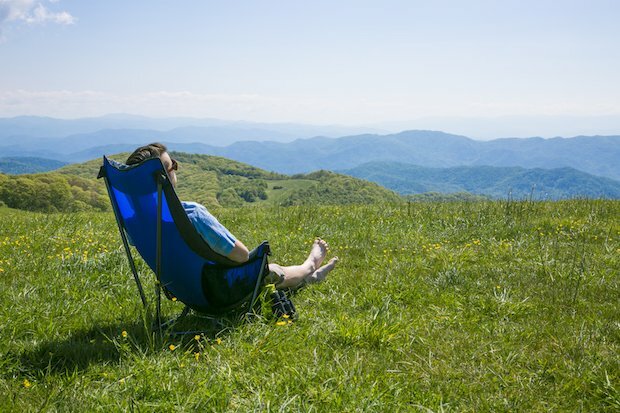 The ENO Lounger DL Camping Chair is built with 210D rip stop nylon, comes with adjustable legs, cup holder, cargo pockets and a built-in pillow. The sides of the chair included padded arm rest, and you can adjust the seat height from 10" to the ground down to 3", so it really has that hammock feel. At the time of posting the price was $125.